Whether by road bike, mountain bike, e-bike or trekking bike – there’s a route for everyone in the enticing area around Oberstdorf. 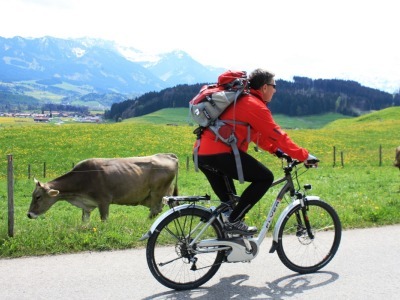 With this in mind, Tourismus Oberstdorf has now developed a new “Zämed duss” cycling map, which offers the perfect guide for those who cycle as a sport or for recreation, as well as for users of e-bikes. 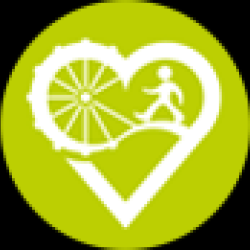 The map lists 19 cycling routes and route variants that have been developed for the area around Oberstdorf and its districts, including route descriptions, distances in kilometres, difficulty levels and elevation profiles. In addition to a detailed map, an elevation profile is provided for each tour, as well as information about trail conditions (see the example below of the route that takes you into the Stillachtal Valley). The map is available in all Oberstdorf Tourist Information Offices and from our online shop for €6.90 (plus postage). The “Zämed duss” (“Sharing the outdoors”) campaign subtly encourages people to treat one another with respect. It also aims to remind people that they are all out and about for the same reason: to enjoy nature. There are plenty of places for potential conflicts: a mountain biker might zoom past a hiker far too quickly without proper warning, a hiker might amble along the middle of a trail without heeding other route users or someone might simply be having a bad day. 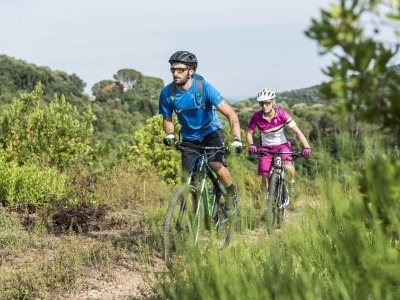 There are many reasons for disputes between cyclists and walkers but both can make the effort to share the great outdoors in peaceful harmony.